- DeMaat Bros. Painting Contractors, Inc.
We offer a full range of services for a variety of environments. Let us give your space a fresh new look inside and out with the attention to detail that we can deliver. 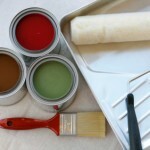 New construction, remodeling, rebranding, or maybe just a fresh coat of paint, we have you covered. If you’re looking for a new interior look, we can help! Borders, Fabrics, Acoustical Fabrics, and Graphics are just a few of the services we offer. Quality wood finishing that will give your space a professional look! We have a large library of materials. We also will match any existing wood finish as well. We’ve delivered quality service for over 45 years with our dedicated and experienced workforce. 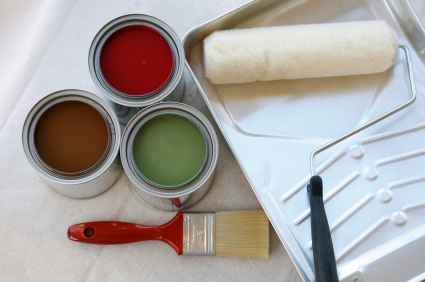 DeMaat Bros. focuses on commercial and industrial painting, and we offer a wide variety of services for the project. We have worked on new construction projects, remodels, LEED projects, restoration projects, etc. DeMaat Bros. has done numerous different areas within our church – Their painters take special care in making sure that I am always happy with the job they are doing, and I have always received an exceptional finished area. No matter if it is just a small classroom or the entire ceiling in the auditorium – They always went above my expectations. We’d love to build a relationship with you as our next client!